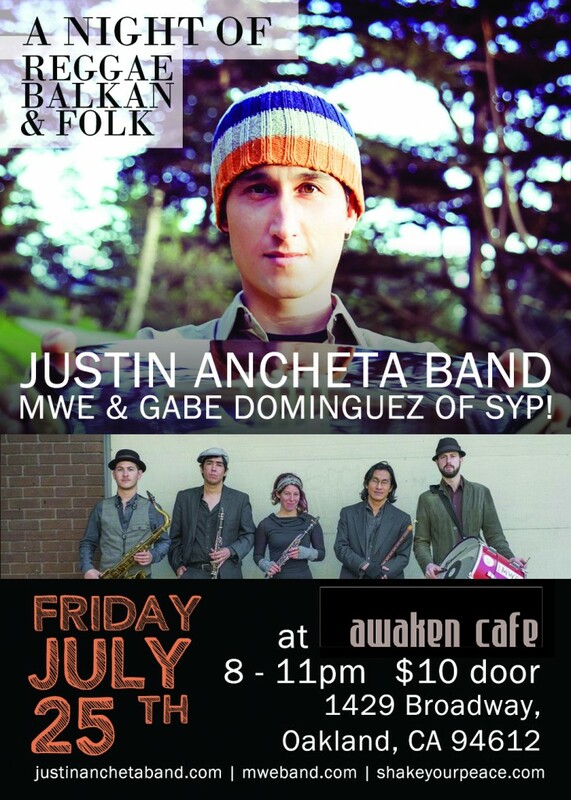 Justin Ancheta Band headlines Awaken Cafe with an awesome eclectic line-up of local talent: MWE and Gabe Singh D of Shake Your Peace! 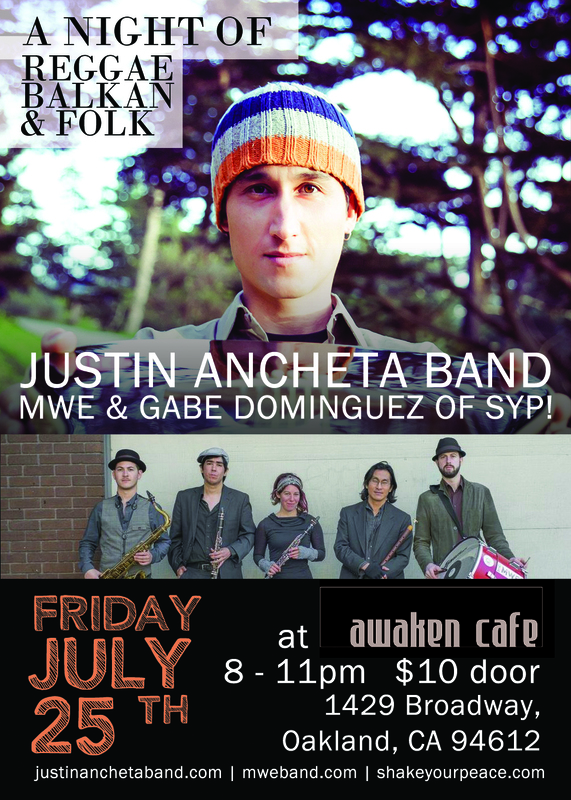 We continue the Folklyrico Nights Music Series at Awaken Cafe with another great lineup. Check out our esteemed comrades who are sharing the night with us: 1 million decibels of MWE and 10 million decibels of Shake Your Peace!. Mere steps away from 12th St. BART! And visit our friends MWE and Shake Your Peace! Check out the flyer on the right — please spread the word! A revolving East Bay/San Francisco music series featuring acoustic music that is a fusion of world sounds. Folklyrico Nights provides a venue for those artists speaking from the heart and for their people.